New Pink Floyd album announced! Pink Floyd has surprised us all and announced a brand new album for release October 2014! The album, titled The Endless River, is said to feature material dating back to the 1993/94 Division Bell sessions featuring David Gilmour, Nick Mason and the late Richard Wright. Few details have been revealed but it seems like we’re in for a treat! A confusing tweet from David’s wife, Polly, caused a lot of stir in social media last saturday. The tweet said “Btw Pink Floyd album out in October is called “The Endless River”. Based on 1994 sessions is Rick Wright’s swan song and very beautiful.” Whether or not this was a mistake against the will of the record company or a deliberate first step in what I’m sure is a massive marketing campaign is hard to tell (I’m pretty sure it’s the latter) but it didn’t take many hours before the news were all over the net. Former Pink Floyd backing singer Durga McBroom tweeted shortly after confirming Polly’s news and even commented on a picture released earlier this year, which everyone thought was from David Gilmour’s forthcoming solo album. It seems that The Endless River will not only be a remix of the old sessions, which are said to be mostly ambient instrumental music, but it will also feature newly recorded music. At this point we can only speculate as to how the album is going to be. Some of the material from the 1993/94 has been well known to bootleg collectors but we also know that there’s much more in the vault. I would assume that the majority of the material is from the early sessions featuring Bob Ezrin on bass and David using a slightly different rig than what he used on the main recording sessions. Hopefully, we’ll also get to hear some newly recorded guitars. One piece that’s been mentioned several times is The Big Spliff, which apparently is a larger instrumental suite. It’s clear that this is a project mainly driven by Gilmour, with Nick Mason on board. Roger is not mentioned and I would be very surprised if he makes an appearance or has any relation at all. He was not a part of the band at that point and certainly not now. I’m sure many fans would like to see him be included in what might be considered as a Floyd reunion but the management has stressed that there will be no touring. It seems like 2014 will be the year of Floyd. 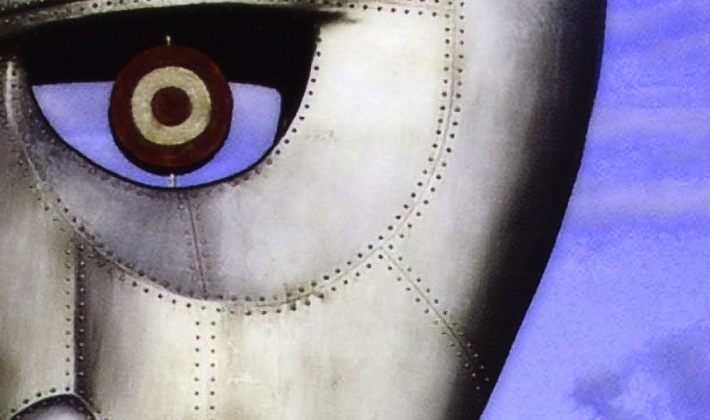 March was the 20th anniversary for Division Bell, which was celebrated with a collector’s box set and fort the first time, the complete album on vinyl. The Their Mortal Remains exhibition in Milan will open in September and now we also know that there will be a new album. It’s also been confirmed that David Gilmour is indeed working on a new solo album and that the album will be released sometime early 2015. Possibly in May. More on that as we get more news. Of course you’ll get to read all about the gear and tones of The Endless River here on this site as soon as the album is out. In the mean time check out the Division Bell gear guide and read all about what gear David used on the album. What are your expectations for the new album? Please feel free to share! Have you heard anything about David’s new solo album ‘Rattle That Lock’? Great news Bjorn. I just saw the new Pink Floyd video for The Endless River yesterday! Dave’s in fine form and his tone is what we all dream about. The shots of Rick playing are heart breaking. He was such a big part of the band, how Roger failed to see that is beyond my understanding. I’m just grateful that Dave undertook this project so we would have this last chance to behold his gift. Thank you Bjorn, for all you do. I am so overjoyed about that I have to say something! When visiting the local Media Markt (Brussels) this afternoon I realised Endless River was on sale! I was convinced the release date was Monday. Anyway, guess if I ran home after picking up the “deluxe” version (with the extras) – LP to come later – and right now listening to it. I simply haven’t managed to get down to a song by song review, but some pieces seem to be more Floyd than anything for many years. I piece like Skins for instance sounds like a modern version of something from More or an updated snippet of a jam where the band tried to come up with a new arrangement for Saucerful of Secrets a la Roger’s Set The Controls or something. It’s a very ambient album, which of course was expected as only one song has lyrics proper. The only negative one can say, is that somehow when through the album you really have the feeling that this is a polite bye from Gilmour and Mason. Rarely have I felt the absence of Wright so much as when watching the video extras. He is sorely missed. And, so will be the greatest British band since the Beatles. I listened to full songs on youtube today!!! Totally AWESOME!!! I got the goosebumps! Mind you she has never heard Bjorn or Airbag, hehe! could you make a list of all the Cornish pedals gilmour has used till now? just the pedals, not his custom tube board or nothing about that. The Rolling Stones, Lynyrd Skynyrd, The Who, Van Halen, Yes, Black Sabbath, Metallica, and many more bands. What do they all have in common? They all continued to release albums after line up changes. IMO, this is kind a crazy argument, specifically since they already have released Pink Floyd albums without Roger. It’s sad how worked up people get over labels and names and who did what when 40 years ago. Isn’t it better just to be glad they’ll be new music from the men we all so love, rather than bemoan what “could have been/should have been”. New Pink Floyd (mostly Instumental Chillout) Album? 3-4 hours of new music, new songs, new experiences from our favs. Thats a great thing in my book. Something to be exceptionally happy about, as no matter who you like they’ll be something for you. Or better yet, enjoy each for what it’ll be, and you can love it all. No matter how it’s sliced, three new albums is better than no new albums. Geez…Why can’t we just try to enjoy the album without this Roger vs no-Roger hype? Well, when I heard “On a Island” for the first time (and I confess that in all the others too), I thought: “maybe this should have been the next Pink Floyd album”. We see here perhaps Gilmour at his best shape since WSWH, and it is a memorable album. Maybe a few artists from a band have something so significant in his solo career. I received with joy the idea of â€‹â€‹a new album from Pink Floyd, and I believe it has been said by someone else above, which is mainly a legacy to Rick. But age comes to all. And I think, maybe it’s time the rest of the band still alive join to produce one last memorable album and then bid farewell to the audience in great style. This is my dream one last album of Pink Floyd, something almost like the end of Startreck VI, where they take leave of fans in a memorable way. And in the end, each goes to his own way. But leaving an even dream alive for all who love Pink Floyd. Bjorn, your blog is very good! Question: do you not think to release a songbook of Airbag CD’s? The Greatest show on earth is awsome! Greetings Bjorn, im sorry to break the mood of this new album, but i’ve got to ask you about pickups. im trying to start getting my gilmour gear. i have a SX stratocaster with stock pickups and i want to upgrade “her” LOL. so i thought in 3 pickup configurations: 1Âº Fender CS69 (bridge-middle-neck). 2Âº Dimarzio FS1 (bridge) and CS69 (middle-neck). 3Âº Seymour duncan SSL5 (bridge) and CS69 (middle-neck). i have in mind to achieve as close as possible the gilmour sounds from like ’73 to like The Wall tour (’80 ’81). so which pickup configuration do you think it will be the most appropriate? 1Âº, 2Âº or 3Âº? Oh and by the way, which one’s pink? LOL. Now seriously, this is my first time commenting on the site, and let me tell you, you have put yourself a trully astonishind gilmour site! It was clear that the Floyd would bring a “new” album out, as they read that Mr. Riis is going to release his debut album soon! That is, of course, the same procedure as every decade, James! With the only difference that as of late Mr. Riis now seems to be involved into the everlasting Gilmour/Waters struggle. – Congratulations! The Return of the Publius Enigma?!!?!? Any Thoughts???????? Well now I’m just bummed that there won’t also be a solo Gilmour album coming out around the same time – I had wrongly assumed that Crosby and Nash weren’t making a guest appearance on a Floyd album. But honestly, if the songs are based on chord progressions written in part by Rick Wright, would it be fair to release it as just a David Gilmour solo album? Nick Mason’s big contribution to the classic Floyd albums was the pioneering of tape loops and sound effects, and I’d wager those will have their place on the new album as well. Roger didn’t write all of the lyrics on a Pink Floyd album until Dark Side of the Moon, and before that, he didn’t write much – which means that on each of the first seven albums, there are only a few Roger Waters songs. Even after that, he rarely sang, and he rarely played bass on the records (I believe Gilmour admitted to playing bass on 60% of their recorded output). Meanwhile I think David’s lap steel appears on something like 73% of Pink Floyd’s recorded output. So no, I have no problem with them calling the new album a Pink Floyd effort. Also, with all the speculation of another Pink Floyd tour, I keep hearing comparisons to The Rolling Stones, still touring at their age. What I don’t hear is any debate about who wrote what Rolling Stones song, because there is zero substance there and they are a jukebox. I’m so excited for this! I was only two when the Division Bell was released, so I don’t remember anything about it, but I remember being very excited for On an Island and the resulting tour (still one of the best I’ve seen!). Now, at 21, I shall be able to enjoy a brand spanking new Pink Floyd album, an experience that my dad has known but been unable to share. I can’t wait to get the vinyl and pop it on my record player and listen to the first time with my dad! Love the site, by the way! My favorite band since I was 9 years old. For me it doesn’t matter if this coming albulm was 20 years ago. The music is in there!!!!!! And I cant wait for this album!!!! Well said. I’d say the real comparison is The Final Cut vs Momentary Lapse of Reason. The first, essentially a RW album, the latter essentially a Gilmour album. Roger often has too much to say and the musical vehicle gets clobbered. Lyric-writing is not in Dave’s comfort zone, so not surprisingly her prefers long instrumental wanking songs. Roger sees DSOTM as the best album they ever released (not necessarily his favourite) because the lyrics and concept were universally relatable. Dave sees WYWH as the best album they ever released because he feels DSOTM was too wordy, and WYWH returned back to a ‘better balance’ where the music was first and lyrics were second. My opinion is DSOTM is what it is because it was truly was unique and really spoke out to a lot of people. WYWH is what it is (another landmark album) BECAUSE it followed after DSOTM. It the next album had been DSOTM 2, it would have flopped. WYWH was like a relaxing comedown from DOSTM. If WYWH had come BEFORE DOSTHM, wish you were here would have been far less memorable. Hello Bjorn, are you good? It’s good to write something again here in our amazing gilmourish.com. Here in Brazil, we received the announce of the new PF’s work with great excpectations. Despite our will about hearing David, Nick and Rick again with Roger together being frustrated, that’s amazing news. Well, this is not about having David & Roger working together again, or the new algum being or not an authentic Floyd’s work. This is more. This is about story being wrote, on our present days, and about all or us having the opportunity of hearing Floyd’s new songs for the first time again (and maybe for the last time). So, let’s wait for that!! Could Mr. Gilmour and Mr. Mason do something bad? Well, NO!!! This is great news Bjorn! I hate to get my hopes up, but the thing I missed in all those later Floyd albums were the extended Dave and Richard Jams like those last heard on Wish You Were Here. I have no expectations of Roger making an appearance. Dave seems to be happy with his life as it is, he doesn’t need the stress. For now the waiting is the hardest part. When I heard about this new album, I couldn’t believe it. I am among those who thinks the Division Bell has very nice songs so I’m very excited about that. So many great news for this fall: a new Pink Floyd album and nonetheless, a Bjorn Riis album!! This is great news! I heard about the tweet and was waiting to hear what you knew. Definitely exciting times ahead. As long as David tours his forthcoming new album I’ll be a happy boy. Can’t wait to read about any new gear he’s using. Well pigs have most certainly flown! I’m hoping for some Cluster One style instrumentals personally, as I love that guitar/piano call and response stuff. I’m interested in what Gilmour has recorded vocals for as well. Possibly a completely new song? I can understand why some people are sceptical over what could be essentially an album of rehashed b-sides, but I loved the Division Bell and hearing Gilmour guitar playing again will no doubt be glorious. Hi Bjorn! I was very very surprised. I never expected this at all. I’m curious if David is going to go back to the effects he used on Division Bell, chorus or rotary speakers. There’s a good chance, I think, the yamahas will be used on it since we know he has it out and doing something with it. What you think Bjorn? I guess all I can say is, I have high hopes ;) pun intended! Now before anyone starts comparing A Momentary Lapse of Reason or The Division Bell to albums like Dark Side of the Moon or Wish You Were Here, why not compare them to their contemporaries, such as Roger Waters’ Radio KAOS and Amused to Death? When I see so many people commenting about how Roger should rejoin the Floyd, I wonder if they would really want to hear a Pink Floyd album about Lebanon or Palestine, laced with ham-fisted metaphors, and sung by a scratchy-voiced man in his late sixties. A Momentary Lapse of Reason is easily my least favorite Floyd effort, and it’s no DSOTM, but it’s a hell of a lot closer than Radio KAOS. I was so psyched when I saw the post on facebook! I didn’t get a chance to see any tours or Floyd albums come out because I wasn’t born yet, so it’ really exciting for me. I’m really hoping to see a bit of a return to the 70’s Floyd, as it’s IMO the period they wrote their best music, and I’m also wondering what gear David will use on the new album. Thanks for notifying! Do you know where can I get the bootlegs from the sessions 93/94?? what does really mean “pink floyd” today ? it would have been a real treat if Roger had been involved, and it could have been possible, regarding how his relationship with david has improved during late years. Exciting news, indeed. And the most unexpected, I believe. Yesterday morning when I got to work, cup of coffee in hand, and surfing the usual Floyd related sites for David’s new album info… I could not believe what my eyes were reading. No Roger an no tour isn’t a surprise, I think that David and Nick are releasing this new album to keep Rick legacy, mostly as a “tribute”. Can’t wait for the release, it seems we will get a very Floydish years ahead! PS: Totally offtopic, if you (and all your followers) are in a mood for some nice old fashioned country-folky-rock music y totally recommend Marc Ford’s latest album “Holy Ghost”. He’s one of my favourite player and writer, and this new record is really sweet. I know a lot of people felt the post-Waters era is not Pink Floyd, but I would argue it’s a different Pink Floyd, but it’s still the Floyd. So lets put Waters aside and say he’s not required at all for a real PF album. So this is based on the TDB sessions, so that means the source material is valid PF. But, a lot of what makes a album truly Pink Floyd is how as a band, and as produces they sift through all the raw material, pick out the winners then transform them during the mixing process. Rick may be playing on the raw material, but he’ll have had no final say on the overal album compensation, so imho it’s a stretch to say Dave and Nick producing an album from their 20 year old 2nd-rate material is going to be tough to be Pink Floyd. A PF Album without a tour is not new (WSWH) but that material was played live quite a bit none the less. The real reason there is no tour I suspect is Dave and Nick won’t go out, just the two of them, and call themselves Pink Floyd. And if you won’t tour under the name, don’t release an album under the name. That said, if it sounds like a Pink Floyd album, and not a Gilmour solo album, then history may judge it as the real deal.